Provides comfort and support wherever and whenever you need it. Measures 7″ x 17″ and comes with a cover of your choice; white cotton or satin covers available in white, burgundy or blue. There is also a choice of soft or firm support. The comfort neck roll pillow is the only one of the roll pillows that is recommend as a stand alone pillow for sleeping. 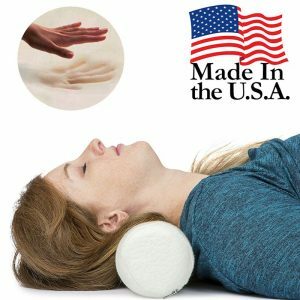 Most neck rolls are for positioning or resting as a therapeutic treatment to restore proper neck posture and for relief of neck pain, however, this neckroll pillow has the right measurements and soft fiber filling to be used as a neck pillow for sleeping. Also can be used as a back support pillow, under the knees when back sleeping, between the knees or under the arm for side sleeping. 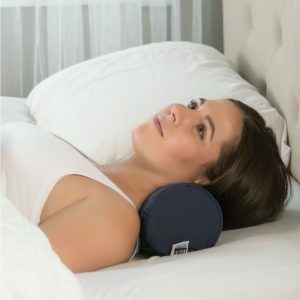 The Comfort Neck Roll Pillow is the only one of the roll pillows that I would recommend as a stand alone pillow for sleeping. 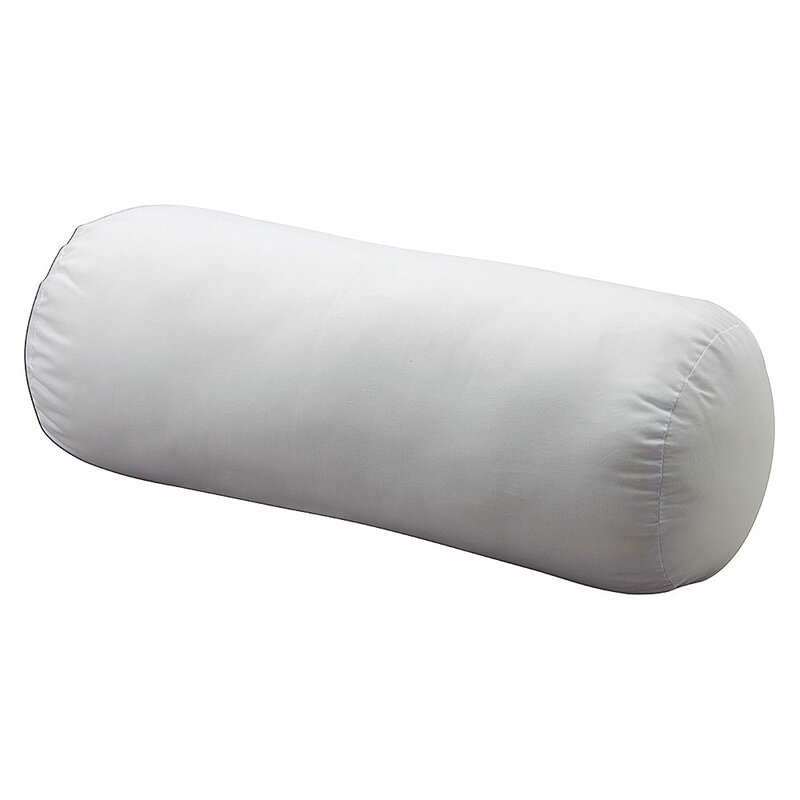 Most neck rolls are for positioning or resting as a therapeutic treatment to restore proper neck posture and for relief of neck pain, however, this roll pillow has the right measurements and soft fiber filling to be used as a neck pillow for sleeping. 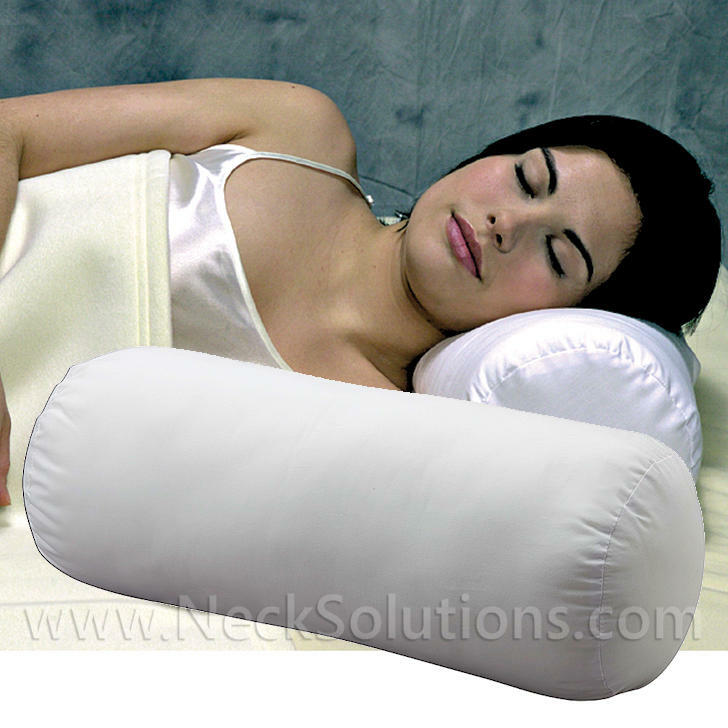 There is some evidence to support the neckroll pillow for sleeping as a study published in the Journal of Manipulative and Physiological Therapeutics indicates that a cylindrical type neck roll produced clinically and statistically significant reductions in neck and shoulder pain severity in a sample of chronic neck pain subjects. So, if you have tried other contour type neck pillows with poor results, this may be a solution. 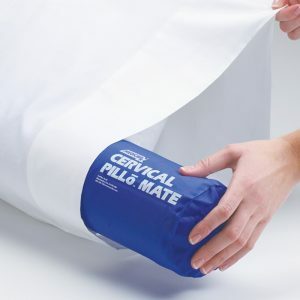 This can be used when symptoms flare up or as a resting pillow for relief periodically, so don’t throw away your old pillow. The design is by Dr. Ruth Jackson in an article originally published in the Dallas Med Journal in 1949, entitled, “The Cervical Syndrome”. This condition refers to nerve root irritation of the cervical spine that can result in various symptoms related to the neck. She designed the pillow calling it a “cervical contour pillow” and stated “The correction of poor sleeping posture by the use of a cervical contour pillow, as designed by the author, may give relief in some instances without any other therapy”. It is basically a rounded pillow and contours are more thought of as typical cervical pillows, but her design was so simple and made such an impact that the pillow design is sometimes called a Jackson Roll. That is the basis of the design for this pillow. While it is not for everybody, it just might be helpful in managing neck conditions and also has a number of other uses. So, while it is simple in design, it is a very versatile pillow and/or orthopedic support. 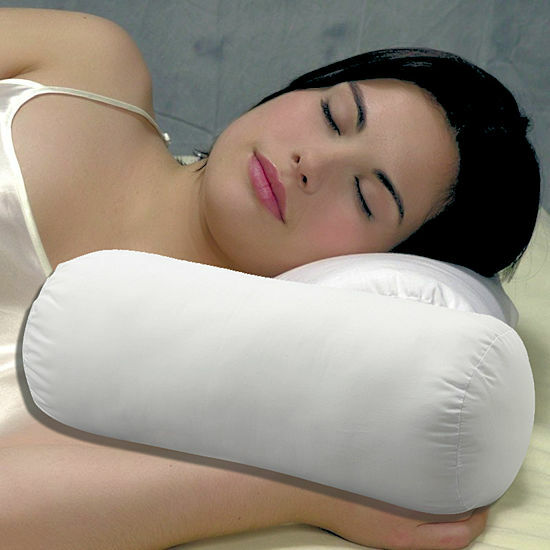 The Comfort Neck Roll Pillow is made in the USA and provides gentle or firm support. It may also be used as a bolster under the knees or ankles in addition to behind the neck for home treatment or rest. After my shoulder surgery, I had to sleep in a recliner for some months and the firm version of this pillow was perfect under my knees. 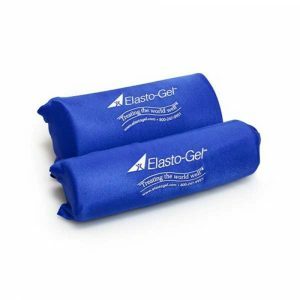 The pillow is very versatile and can also be used as a back support to ease sore muscles at home or on the road. Seems like there is always a use for this pillow. It can also be used to elevate the arm when side sleeping for those with shoulder problems. 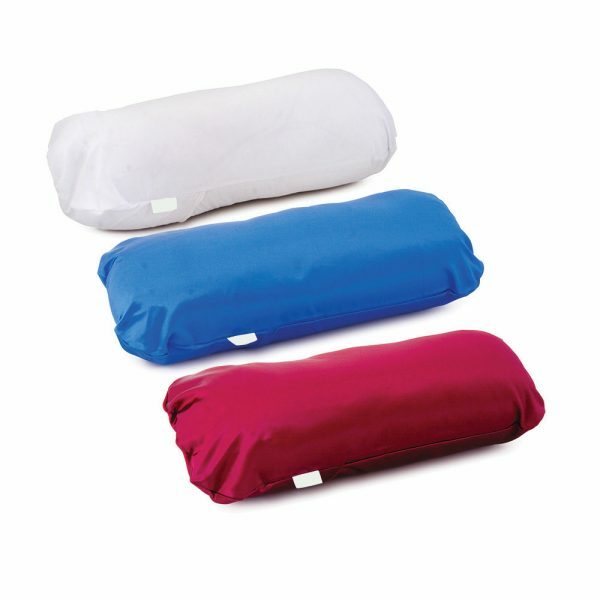 Made with soft, yet supportive fiber fill, the pillow is easy to position and carry as a travel pillow. Provides comfort and support wherever and whenever you need it, the measures 7″ x 17″ and comes with a cover of your choice; white cotton or satin covers available in white, burgundy or blue. There is also a choice of soft or firm support. The pillow has additional uses. While supportive for use as a pillow, it also can be used as a small body pillow placed between the legs while side sleeping or under the knees to take pressure off the back for lower back pain.